STUNNING . . . OPEN PLAN . . . HIGH SPEC FITMENTS . . . DUPLEX APARTMENT . . . SECURE . . . LOW MAINTENANCE . . . UNDERGROUND PARKING. 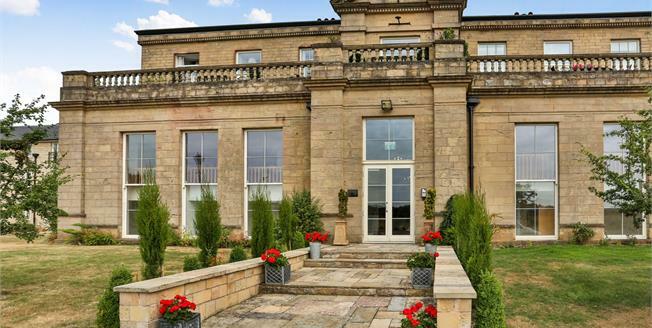 Exceptional two bedroom ground floor duplex apartment located in the restored Grade II Berry Hill Hall. Accommodation comprising; communal entrance hall, intercom entry system. Private entrance hall, lounge-diner, breakfast kitchen on one floor. To the lower floor are two double bedrooms, bathroom and en-suite. The apartment is set within communal gardens with parking around as well as an allocated underground parking space. Tiled flooring with underfloor heating, exposed brick walls, double doors to cloaks cupboard, intercom entry system and door to lounge-diner. A fantastic open plan living space with coal effect gas fire with feature surround as the main focal point, exposed brickwork, engineered wooden flooring, two sash windows to the side, coving to ceiling, recessed spotlights, two floor to ceiling designer radiators, contemporary staircase with inset lighting to the lower floor. A stunning kitchen fitted with a modern range of base and wall mounted units, roll edge work surfaces, one and a quarter bowl sink and drainer with mixer tap. Integrated dishwasher, wine cooler, oven, hob, extractor, microwave, coffee machine, washer dryer and fridge freezer. Window to the side, tiled flooring with under floor heating, designer radiator, recessed spotlights. Bespoke built in cupboards and fitted breakfast bar. An impressive master suite featuring many fitted wardrobes, recessed spotlights, two sash windows to the side, coving to ceiling, radiator and door to en-suite. A modern white three piece suite comprising; panelled bath with central taps, WC and wash hand basin in vanity unit. Wall mounted shaver point, recessed spotlights tiled flooring with underfloor heating. A modern white three piece suite comprising; large walk in shower area with tray, with "rain" shower and separate shower handset, WC and wash hand basin in vanity unit. Extractor fan, tiled flooring with underfloor heating, heated towel rail and recessed spotlights.